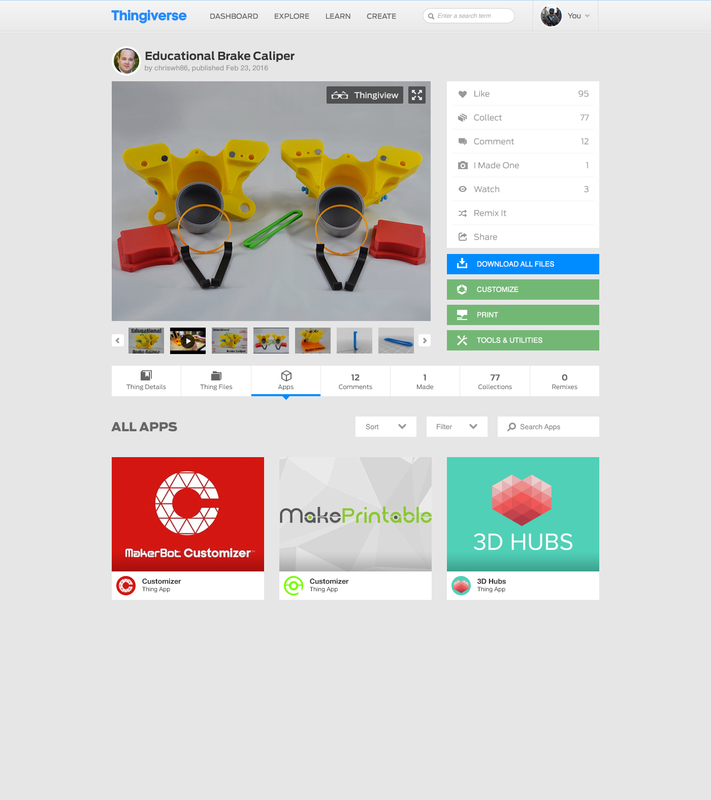 Thingiverse has always had an app section on the site showcasing third party apps that users could download for desktop, mobile or use on the web. These were mostly limited to accessing account information and uploading data back to the site. 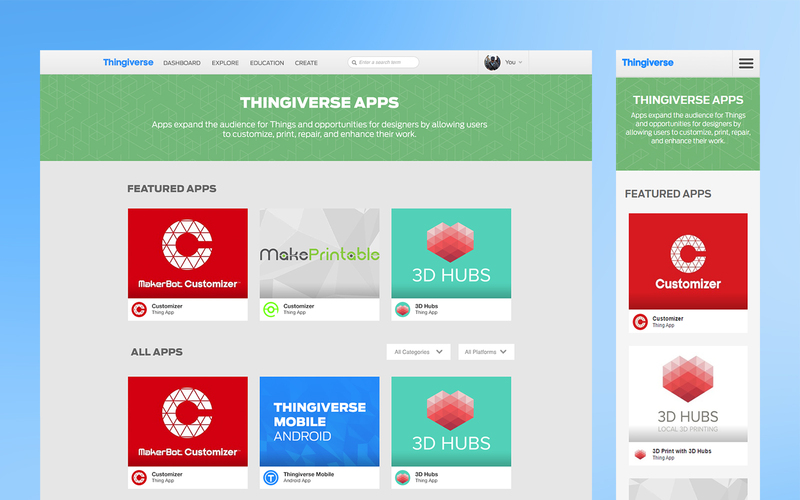 With the re-launch of Thingiverse Apps, the API gets a bit more robust and we’re introducing a new app type: Thing Apps. Thing Apps are embedded apps usable straight from a Thing page. Developers will be able to select from three categories to developer for: Print Fulfillment, Tools & Utilities and Customization Apps. 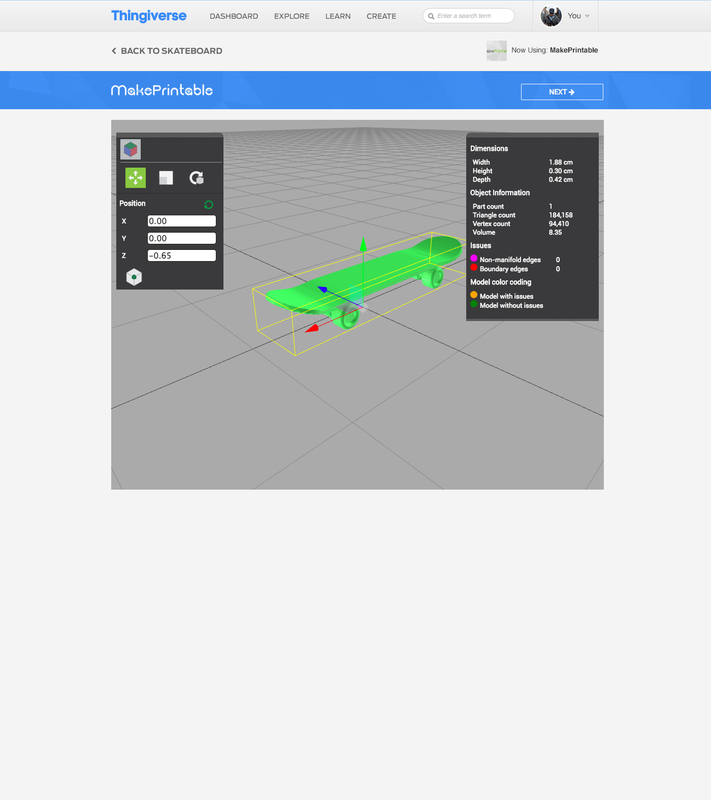 There are three core sections when we implemented this new feature: a new Developer Console, a new way to interact with integrated Apps on Thingiverse and lastly the introduction of Thingiverse Payments, allowing for developers to earn money on their apps and for designers to receive tips from users on the site. Thing Apps are a new kind of app offered to the user. 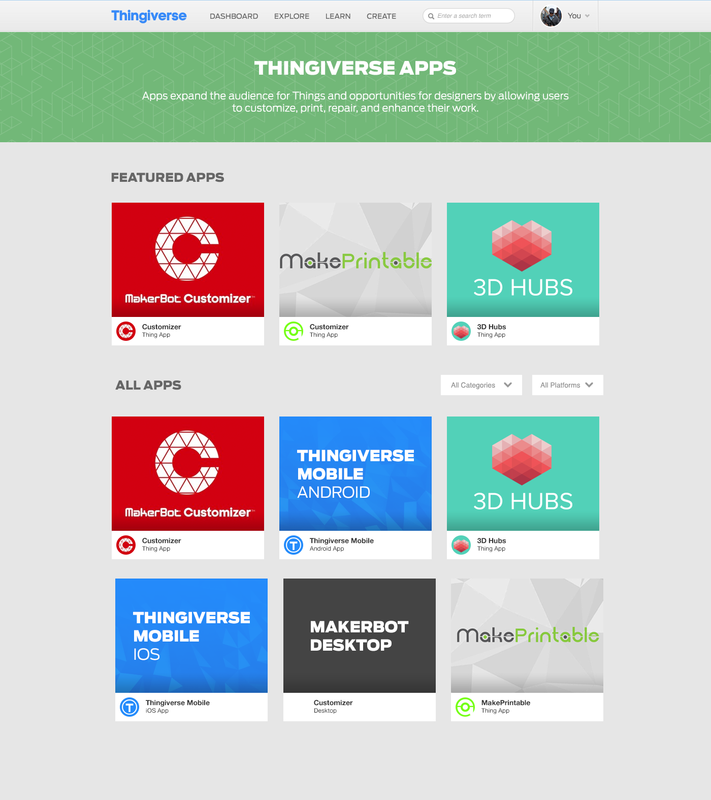 These are apps that are embedded directly into Thingiverse, accessible via a Thing Page. By default, we enabled all apps for all users by using the license of a Thing as the guiding component. For example: If a Thing file has a license with noncommercial, no Print Fulfillment apps will be listed on that Thing. We have allowed the Designer some control to overwrite the license to allow users to use certain apps/services if they decide to. Another way to filter which apps can appear on a given Thing is control over file requirements by the Developer of the app. 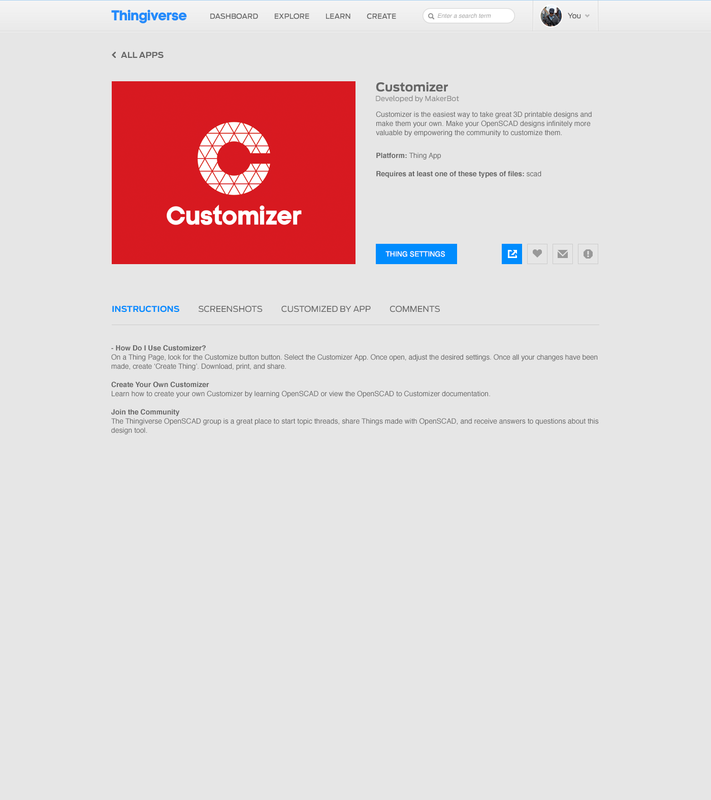 For example: if a Developer is creating a Customization app, they can limit it to only work on Things that have SCAD files.